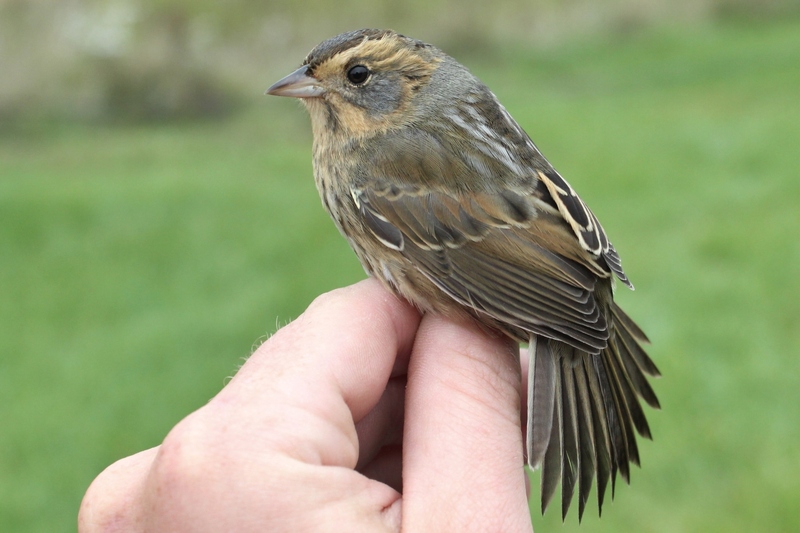 Mid-October offers Pennsylvania birders an opportunity to try and find a rather rare migrant though our state, the Nelson’s Sparrow. 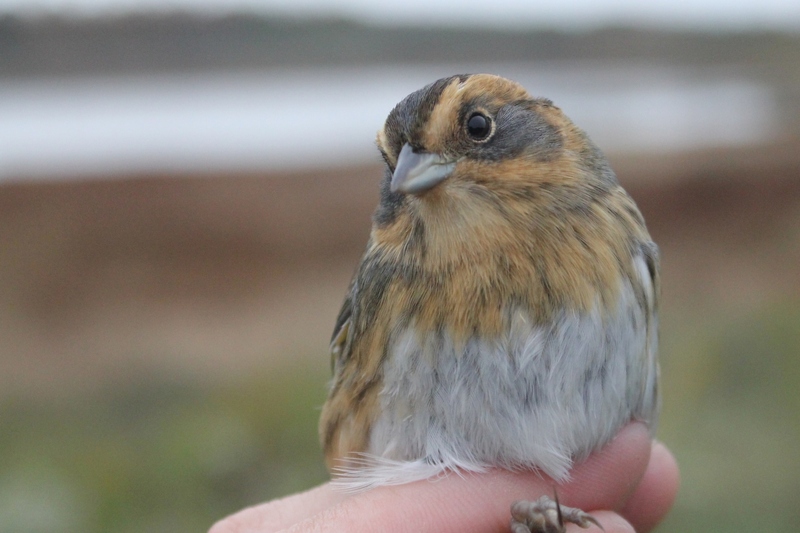 This fall it seems weather conditions and increased birder effort has created a bit of a Nelson’s Sparrow infux, with over 20 individual birds reported around the state at this point. Tim Becker found the first of the fall on September 26th, when 1 was at the Quittapahilla Wetlands Preserve in Lebanon County. Then Mike Epler and a handful of other birders visited the Bainbridge Islands along the Susquehanna River (a classic location for this species) and found 9 Nelson’s there! 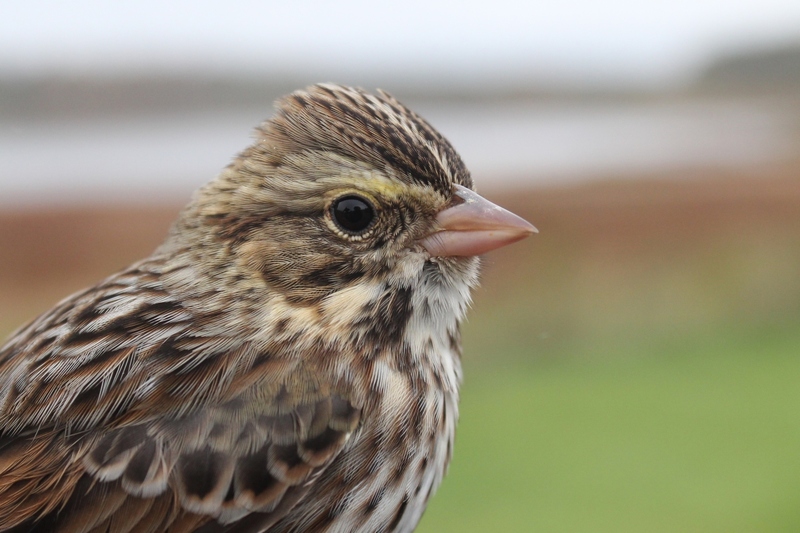 Other birders around the state started searching, or continued searching, for the secretive sparrow in their local wetland patches and reports are coming in from around the state. 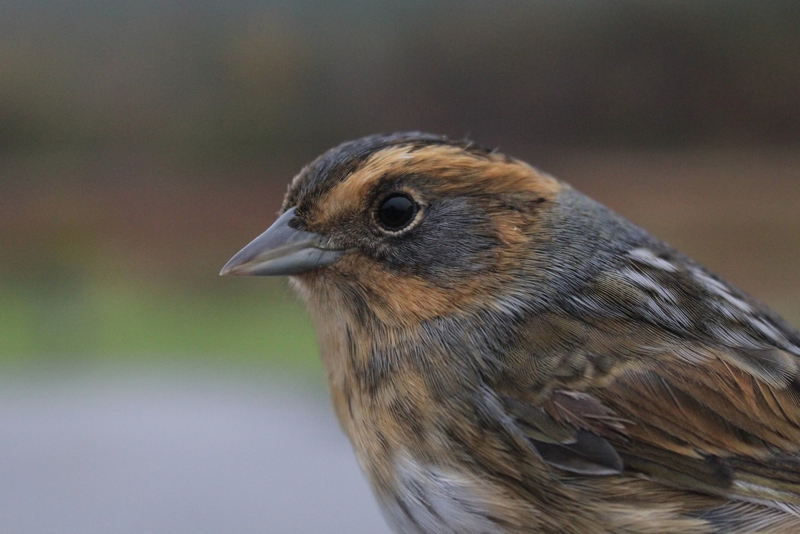 I was finally able to get in on the action this past Friday, when I found a Nelson’s Sparrow at Mill Hall Wetlands – a 1st record for Clinton County. My luck continued, and Saturday afternoon Ian Gardner and I found another Nelson’s at Whitetail Wetlands in Bedford County. Meanwhile, Shannon Thompson and Dave Wilton found 2 birds at the Greencove Wetlands in Washington County. It is starting to seem like any decent patch of habitat has a good chance of holding a migrant Nelson’s Sparrow! Although actually seeing one is totally different. Speaking of decent habitat, Colyer Lake which is just 15 minutes outside of State College has a slowly-draining dam, but as the lakes shrinks down it has left an incredibly productive weedy field full of mostly smartweed and interpersed with patches of cattail and other wetland plants. Knowing this fall would be my best chance at finding a Nelson’s Sparrow for my beloved Centre County list and knowing our best bet for finding one was going to be at Colyer Lake, I asked Nick Kerlin if we could take the mist nets over to the lake one morning and see if we could catch a Nelson’s there. Nick got permission from the PA Fish & Boat Commision, and we planned to band there this morning. 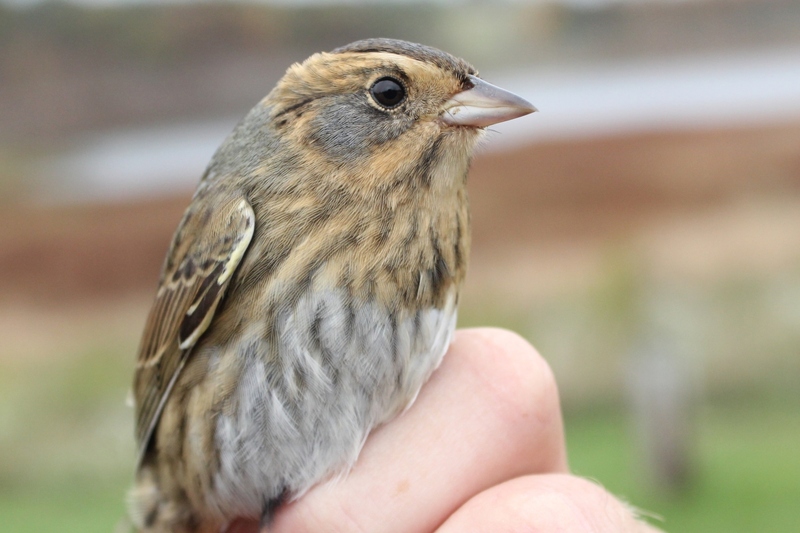 I knew actually catching (let alone finding) a Nelson’s Sparrow would be a long shot, but then Matt Sabatine turned one up at Colyer this past Saturday morning. Now that we had confirmation there were definitely Nelson’s at the lake, I was super excited to get out there this morning and see what we could catch. Ian Gardner, Nick Kerlin, Jill Koren, Jeremy Alvaro, the Millers, and I met up at the Colyer Lake parking lot at 7:30am this morning and started planning out where to put the nets. We started with 4 nets and set them up along a path that was worn through the weeds. 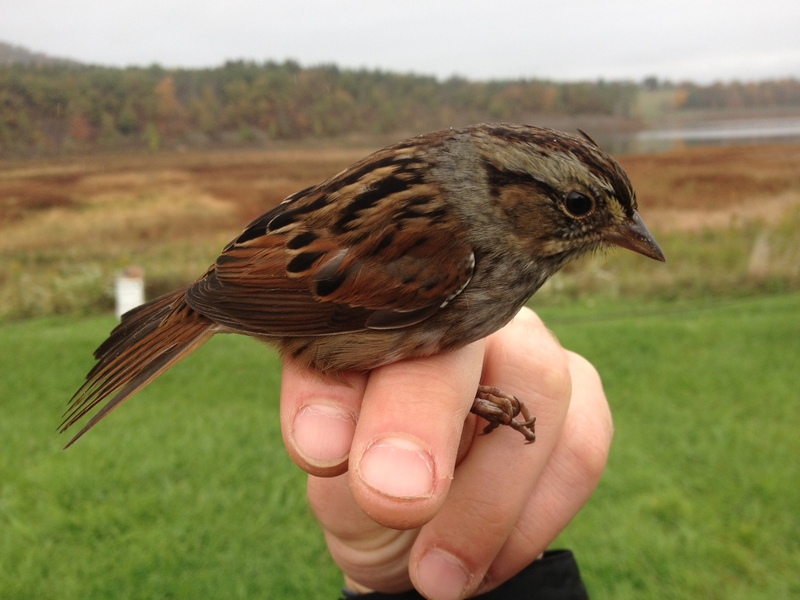 With a long rope between us, we dragged through an area near the nets and only managed to get 1 Swamp Sparrow to hit the nets while many others flushed around and got away. We re-arranged the set-up and made a J-shaped configuration down by the edge of the lake. On our next pass was much more successful, with many sparrows forced towards the nets and captured. As we were dragging the net through the area, we could see the sparrows flushing ahead of us and hitting the nets. 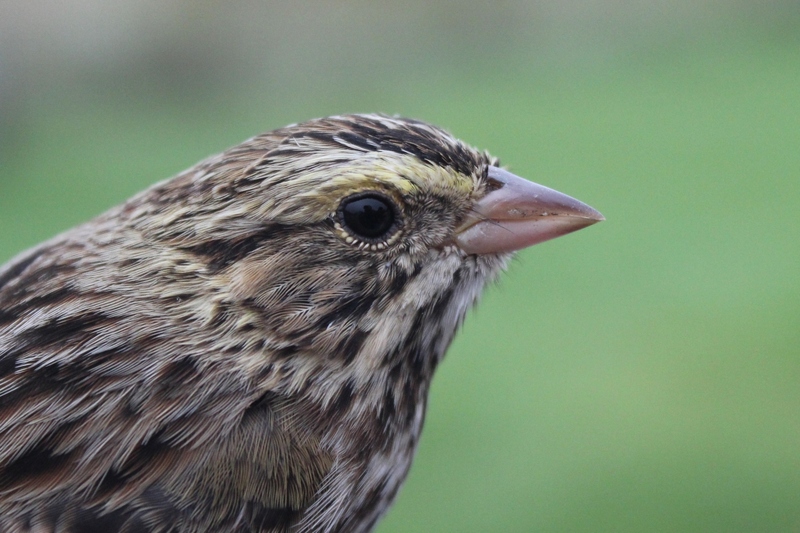 Most of the birds we flushed up looked like Swamp Sparrows but once we got over to the nets and started extracting birds, I heard Jill ask what kind of sparrow she was looking at in the net and then I heard Ian say “Well, that looks like a Nelson’s!”. 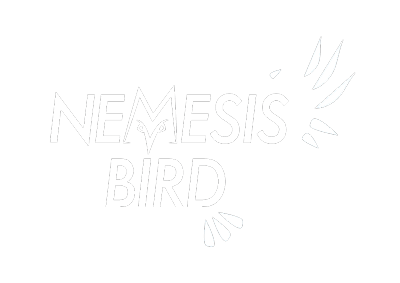 I ran over to see the bird for myself, totally shocked we were able to catch our target bird so easily! The sparrow was an adult. Although almost certainly one of the two interior-breeding subspecies (Ammodramus nelsoni nelsoni or A. n. alterus), I am open to suggestions on this bird. It had rather dull plumage with very indistinct white markings on its back, faded streaks on its breast, and a blueish-brown rump that all sort of suggested the coastal subspecies (A. n. subvirgatus; which would be a very rare find in Pennsylvania). 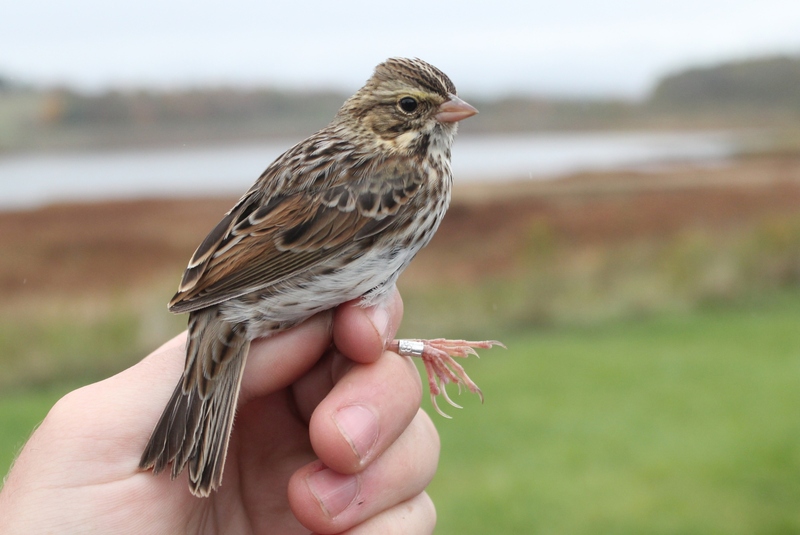 Here is a link to Fletcher Smith’s excellent article on identifying the subspecies of Saltmarsh and Nelson’s Sparrows. This Nelson’s also had a healed injury on its left leg from what looks like a pretty bad break (see the photo below). 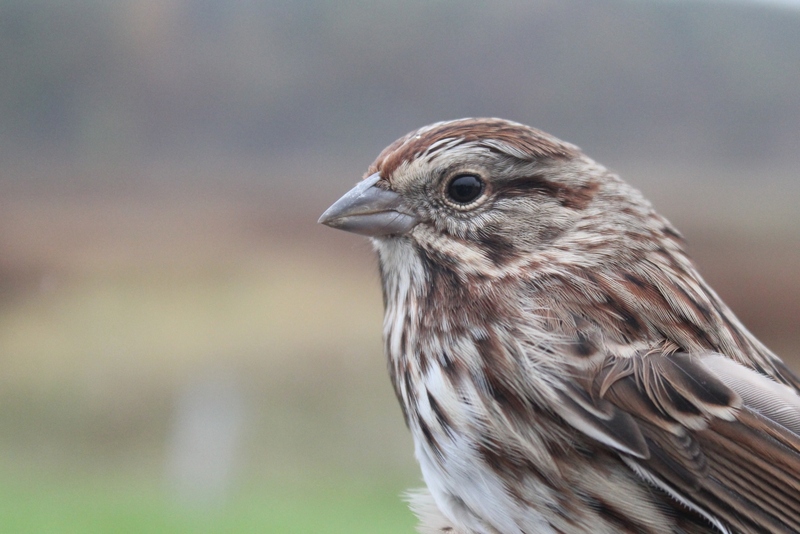 Other species caught during the first big push were multiple Swamp Sparrows, 1 Song Sparrow, and 2 Savannah Sparrows. The next attempt bagged us a few more Swamp Sparrows, 1 Song Sparrow, 1 immature White-crowned Sparrow, and another Savannah Sparrow. While Ian and Nick were processing those birds, I ran down with Craig Miller to fix one of the nets and re-place it in another spot. On the walk down to the nets, I spotted a greenish sparrow dart from one weed clump to another, and stopped to check it out. A few seconds later, I could see it was a Nelson’s running around on the ground and sometimes diving into clumps of vegetation to hide. I crept in closer to the bird and then flushed it towards the nets. The sparrow hit the net perfectly and fell down into a pocket. I ran over, expecting the Nelson’s we had already captured and banded but instead found an un-banded bird! This second Nelson’s was a hatch-year bird, which made for a nice comparison of the two ages’ plumages. 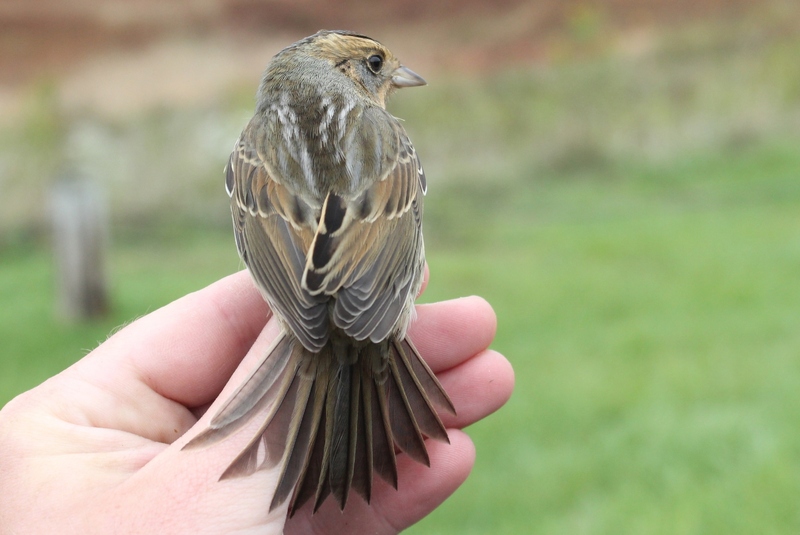 The hatch-year sparrow had more distinct white streaks on its back and more distinct streaks on its breast, as well as paler plumage overall. 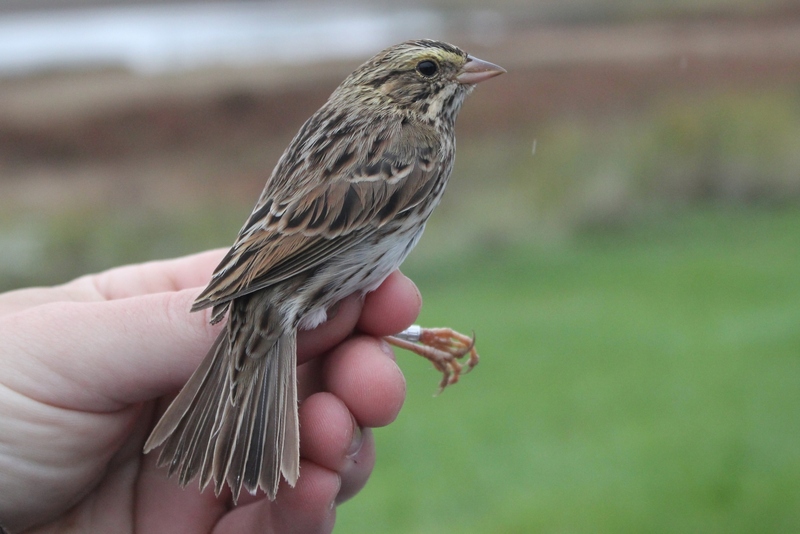 With the success we had in a short amount of time this morning, I am really hoping we are able to get back out to Colyer and try to band a few more Nelson’s Sparrow before they have all moved through the state. 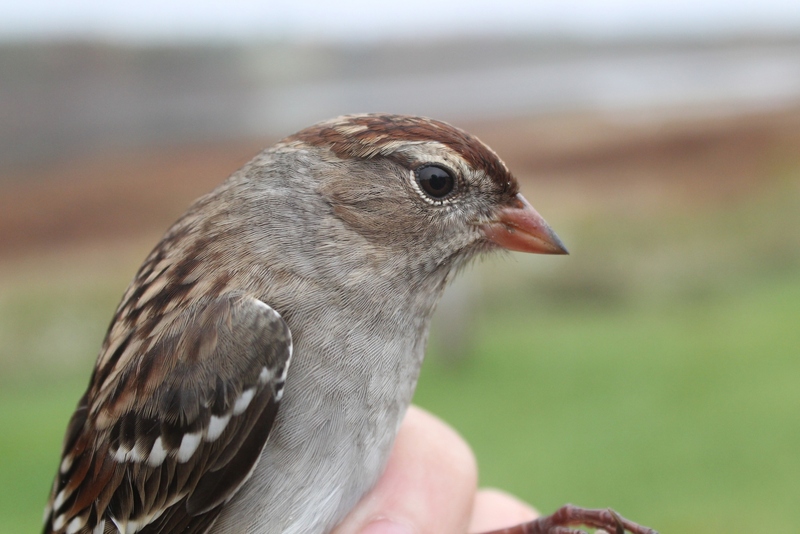 The habitat is also very good for most of the other sparrow species and it is always fun to catch them too of course. 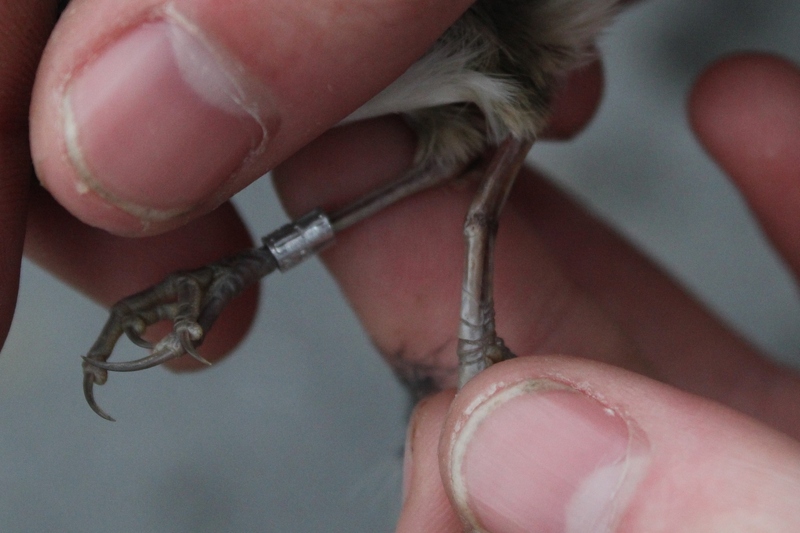 Below are some photos that Ian Gardner and I took of the various other species we banded this morning. 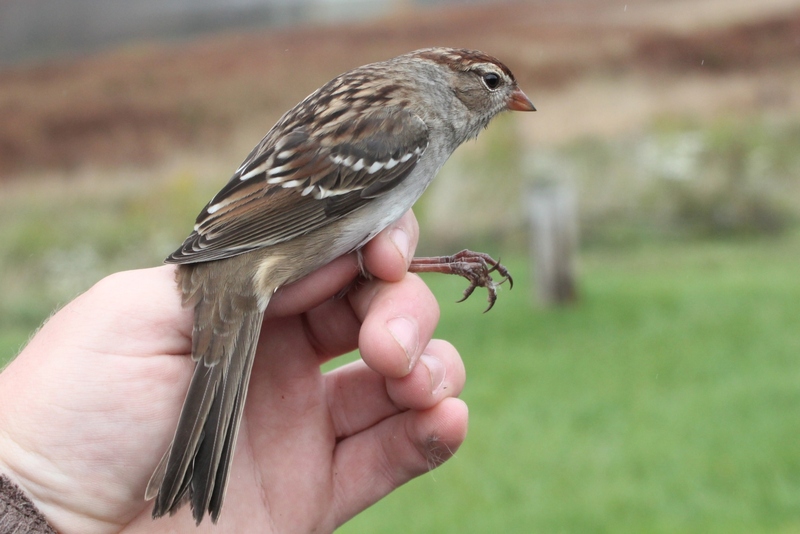 In total, we captured 5 Savannah Sparrows, 2 Nelson’s Sparrows, 3 Song Sparrows, 10 Swamp Sparrows, and 1 White-crowned Sparrow.